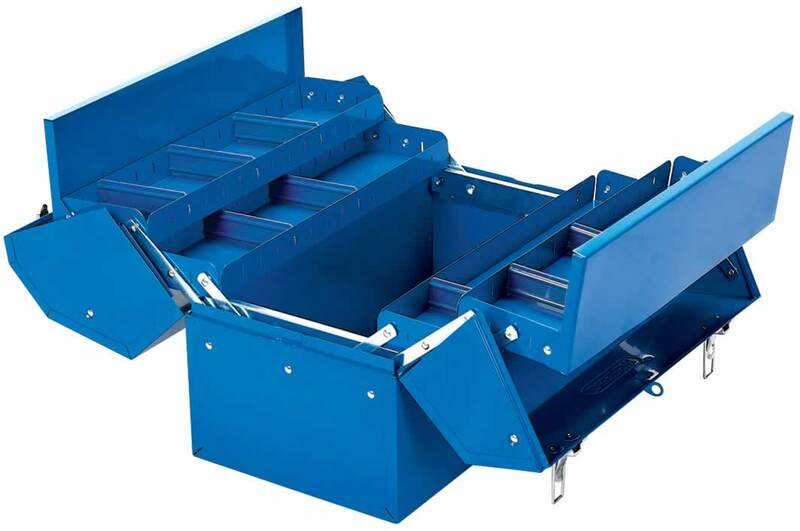 General purpose tool box manufactured from sheet steel with lacquered finish. Trays open automatically when handle is depressed and close when lifted. The lid form incorporates provision for a padlock. Carton packed.